The G230 Stereo Gaming Headset is part of Logitech's recently refreshed G series of gaming-inspired products, which have been designed specifically with gamers in mind for both the build quality and audio performance. 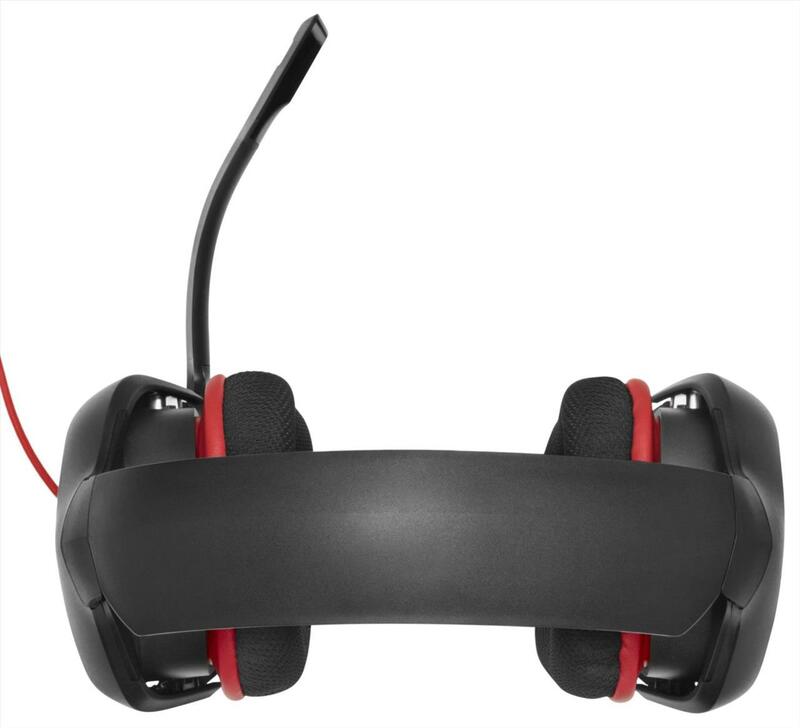 The headset's appearance melds together bright red accents in its head and ear cushions and cord with the rest of its black matte surface. 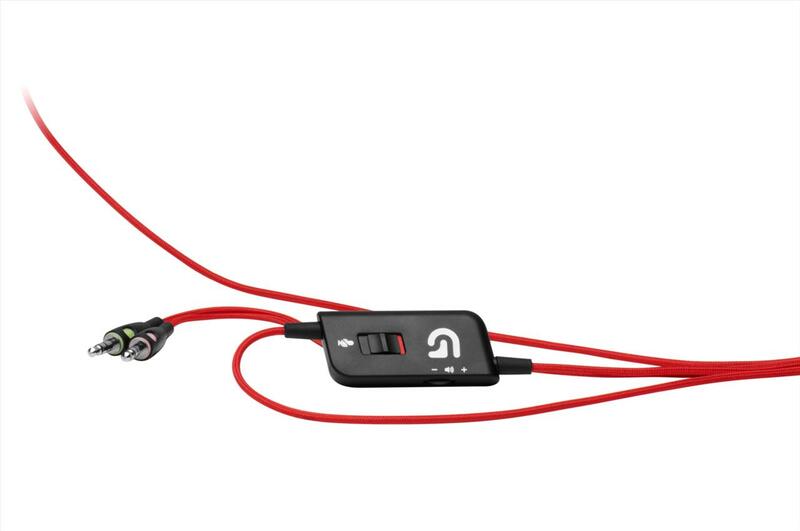 Along with the stereo headphones, the G230 includes a built-in noise-canceling microphone that can fold when not in use as well as the ability to freely bend. The headset's extra long and braided cable contains attached volume and microphone mute controls, which also functions as a clip to hold the cable in place. The cable's end splits into standard 3.5 mm audio inputs for both the headphones and microphone. For complete usability of the headset's features, both audio connections require the matching input ports on the particular desktop or laptop computer. The headset's cable is not detachable from the actual hardware, but it does include an attached Velcro tie for easier transportation or storage. Following in Logitech's brand tradition, all of the G230 components are constructed well, polished, and of high quality. 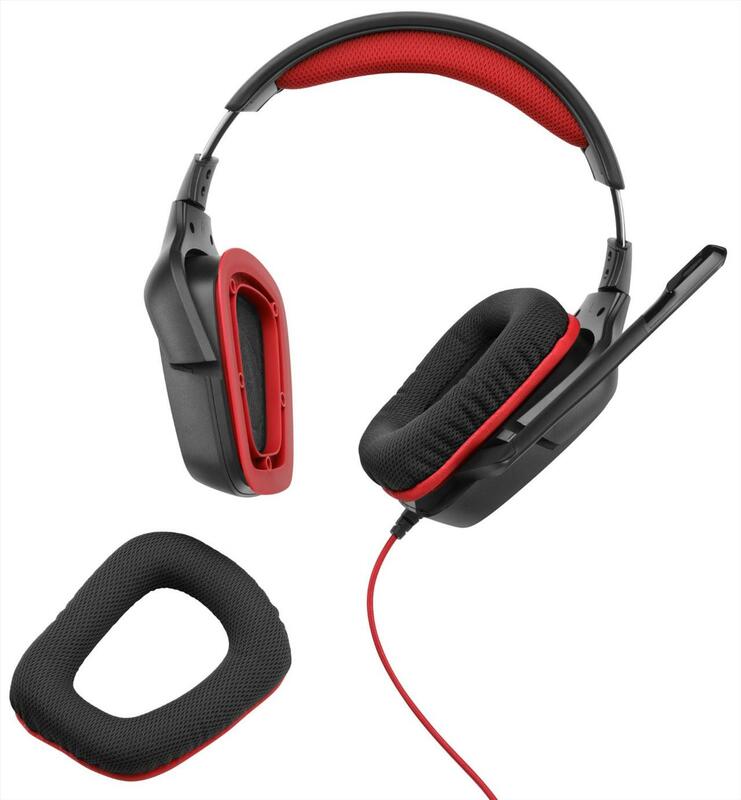 The black matte plastic surface of the headset is accompanied with over-the-ear cloth cushions that are designed specifically for marathon gaming sessions, ensuring that they stay soft after hours of extended use. The ear cushions also have the ability to be taken off and washed if required. The cloth ear cups are one of the most significant aspects of the G230 as they're highly-comfortable after extended use with the headset's lightweight design. The increased padding in the ear cups were also a welcome addition to create more of a barrier for resting against the head. In terms of weight, the headset is both light to carry and wear which at times can feel a bit flimsy. However, the headset held up well in tests carrying it along during travels in both a backpack and messenger bag. The headset's ear pieces are designed to swivel 90 degrees and in turn lay completely flat. This feature allows for easier storage in addition to further flexibility for the wide range of head shapes. The headset stayed comfortable for hours of extended gaming, which only required some fine tuning of each ear piece's height. The headset's sound quality is similar to its build quality as being nearly perfect, but with a few issues that unfortunately negatively affect its overall performance. In regards to treble and general quality of sound reproduction, the headset performs admirably with all sources of sound from gaming to films producing clear and precise results. Speech of characters and sound effect details such as gun shots and footsteps come alive as they aren't lost among other sounds and musical tracks. While its use might be focused on gaming, the headset also functions just as well for listening to music and watching films. The major downside experienced while testing the headset is that sound effects and music that utilizes strong bass often suffered in favor of clear overall audio reproduction. Explosions often didn't pack that much of a punch as would have expected from the stereo speakers. As these are only stereo speakers, gamers or film aficionados shouldn't expect much in terms of anything close resembling a surround sound experience. The sound quality is often an exchange between clear and flat audio reproductions. Since the G230 is classified as a gaming headset, it would be near impossible not to include a microphone of some sort. Fortunately, Logitech didn't take any shortcuts and included a high-quality, bendable, and folding microphone that produced clear and audible results during testing. Speaking over voice chat during gaming sessions in addition to Google Hangouts produced wonderful audio as often reported by recipients. As with most headset microphones, some adjustments were required in Windows to boost the audio's volume. After all the adjustments had been made, the microphone became a new favorite hardware choice for chatting online with friends both during casual social interactions and intense gaming sessions. 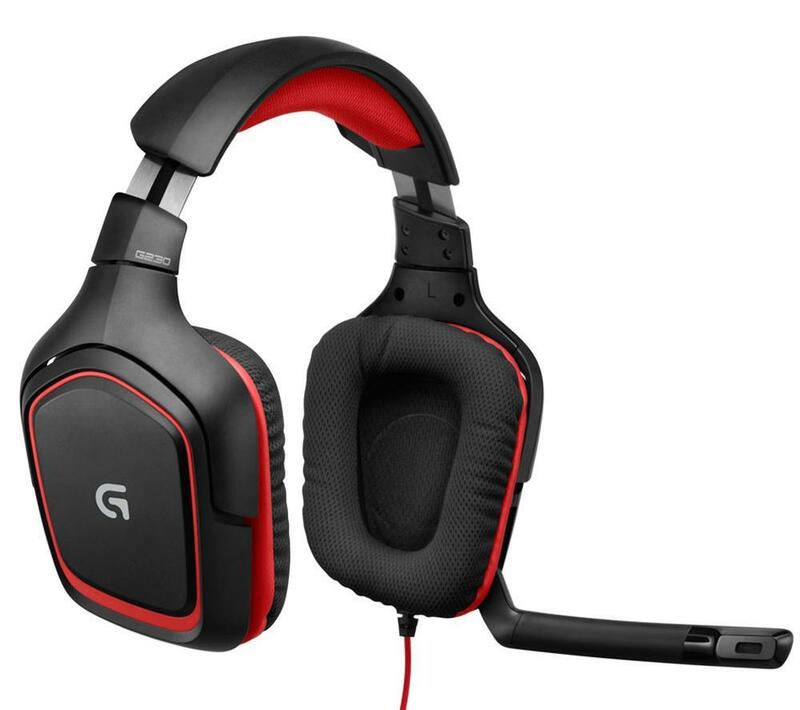 The G230 Gaming Headset from Logitech continues in the tradition of its G series lineup of gaming-inspired products by combining both high quality build hardware and audio reproduction. As well, the inclusion of a clear and audible microphone is a welcome feature of the headset. Unfortunately, the overall audio quality produced by the headset has its issues with poor bass and interchange between clear and flat sound. Even with its minor issues, the G230 is still an excellent value for consumers in the market for a new stereo headset and a great addition to any gamer's arsenal both at home and while traveling. 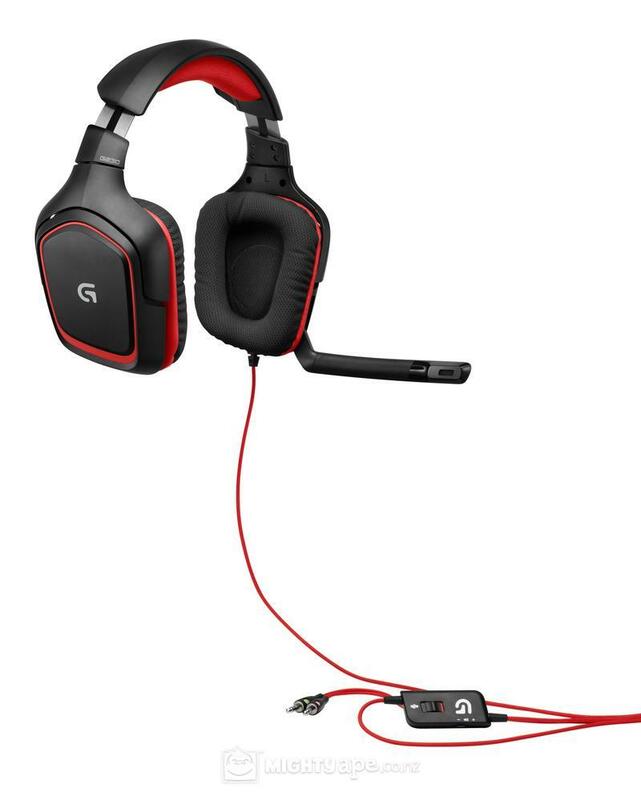 The G230 Gaming Headset from Logitech provides clear stereo audio reproduction and high-quality microphone performance, yet suffers from lackluster bass and flat sound issues. While not perfect, the G230 headset earns high marks for its otherwise excellent combination of quality and value.